First Team has been the trusted name in quality, factory-spec auto repairs in the Roanoke Valley area since 1988. We have been serving thousands of customers in the Roanoke, Lynchburg, Christiansburg and Blacksburg areas and have an excellent reputation in these communities for great service at competitive prices. 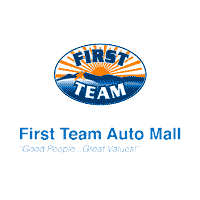 Ask about First Team’s Values for Life program, included with your new and used car purchase! First Team is proud to have some of the best factory-trained mechanics available to service your vehicle. Our automotive service departments are state-of-the-art, with the latest diagnostic and repair equipment available. Whatever your car, truck, van or SUV’s needs, First Team can diagnose the problem quickly and repair it the right way to get you back on the road. Hyundai Service, Maintenance and Repair | Nissan Service, Maintenance and Repair | Subaru Service, Maintenance and Repair | Volkswagen Service, Maintenance and Repair | Chevy Service, Maintenance and Repair | Ford Service, Maintenance and Repair | Honda Service, Maintenance and Repair | Toyota Service, Maintenance and Repair | Mazda Service, Maintenance and Repair | Lexus Service, Maintenance and Repair | Audi Service, Maintenance and Repair | Infiniti Service, Maintenance and Repair | Dodge Service, Maintenance and Repair | Chrysler Service, Maintenance and Repair | Fiat Service, Maintenance and Repair | Ram Service, Maintenance and Repair | Acura Service, Maintenance and Repair | Kia Service, Maintenance and Repair | Hummer Service, Maintenance and Repair | Buick Service, Maintenance and Repair | Cadillac Service, Maintenance and Repair | – in fact, we can service pretty much any vehicle! In addition to our dedicated technicians and modern service bays, we also offer parts and service guaranteed for life*, a comfortable waiting area with free wi-fi, and prices that are very competitive. First Team Auto Mall is conveniently located on Peters Creek Road in Roanoke, just minutes from Route 81, Blacksburg, Christiansburg, Lynchburg, Martinsville, Amherst, Bedford and surrounding areas.